In this article, we will take you through several methods of resizing photos on an iPhone that will help you store more photos on your iOS device. This process may not be the fastest way imaginable to change the size of your images, but it still effective. Simply select the pictures you want to resize in the Photos app and click share, or if you have an iPhone 7 click on the Action icon. The Mail app will allow you to choose one of the Small, Medium, Large and Actual Size presets, and after you selected the option that best fits your needs, tap the Send button to send the resized images to your email. Despite being relatively easy, this method of resizing images doesn't allow you to enter the new size of a photo manually which may limit your options. Even though apps for iPhones that allow you to resize your photos require you to spend some money, this method is still much more effective than resizing images via email. 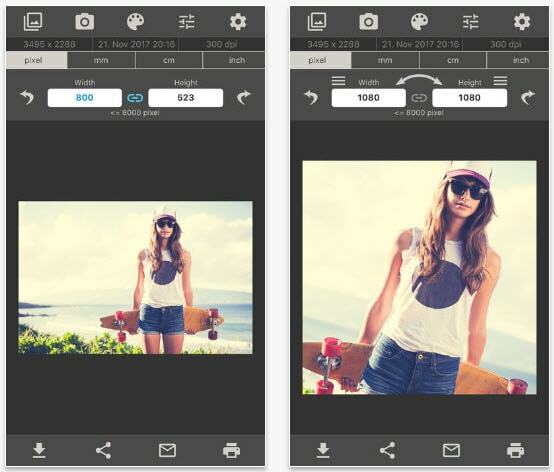 iPhone photographers can resize their photos in three simple steps with this app. The Image Size app is free to download but if you want to get rid of the adds you must pay $3,99. 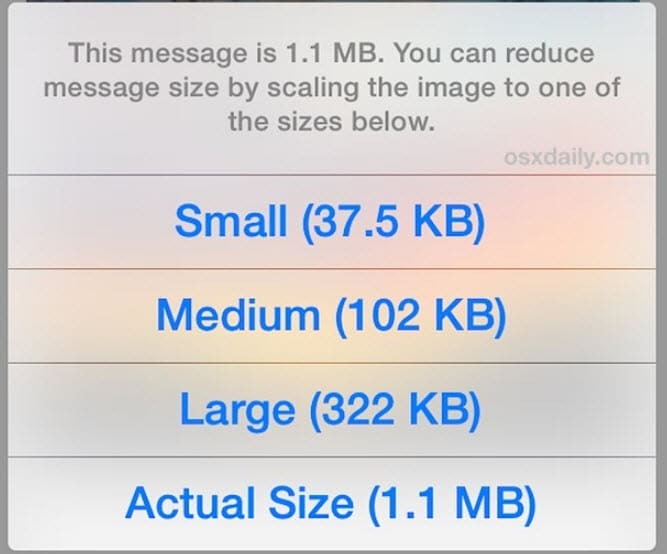 However, all you need to do to change the size of an image with this app is to open the photo you want to resize and select the output size. Removing the parts of the image is made possible by the Cropping tool so you can even decide which parts of the photo you want to remove. Once you've completed the process of resizing the picture you can choose whether you want to Save, Send or Share your photo. There aren't many better options for resizing images with an iPhone because this powerful tool allows you to change the size of an image within seconds. 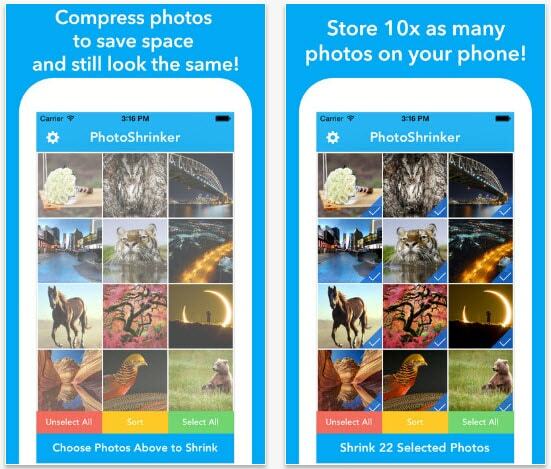 PhotoShrinker automatically compresses the photo to one-tenth of its original size, which means that you can free up a lot of space if you choose to invest $3,99 in this app. The latest version of the app also enables you to delete photos you don't like, but its users shouldn't count on it for any other kind of photo editing activity. 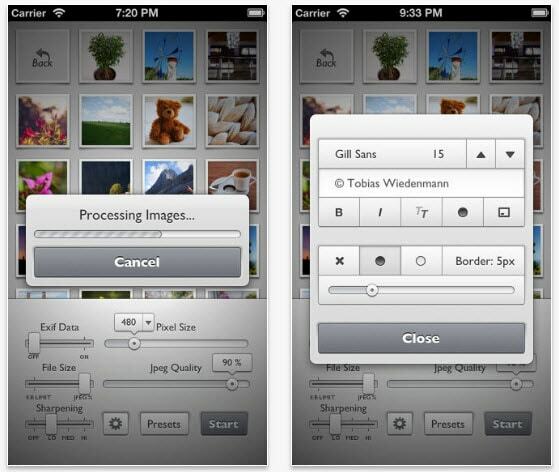 Reduce app is a powerful image resize tool that allows you to change the size of several pictures at the same time. Besides the batch resizing feature the app also allows its users to resize the picture to specific dimensions or sharpen the image that has been slightly blurred by the resizing process. Reduce is equipped with an auto-detection option which recognizes the jpeg quality for the file size in question. Furthermore, the app lets you add a border to your photos in order to separate it from the background. Preserving the quality of your photos is important and for that reason, you should only use methods of resizing photos on your iPhone that allow you to produce good images, regardless of their size. Using apps to resize photos may cost you some money, but it will provide you with powerful tools that will allow you to have control over the photo resizing process. Let us know in the comments which method of changing the size of a photo you like the most and feel free to hit share and let your friends know about these remarkably simple methods of resizing pictures on an iPhone.